-Parent will secure a dated to visit PCF programs sites and then email the committee. -Parent will update the KFNA board on the City’s lighting proposal and provide them with information about the proposal. -Send out La Chaya’s Strong Beer and Wine Public Hearing notice though KFNA email. -PCF will do a KFNA mailing prior to the November 7th meeting/ they will also draft a notice that can be submitted to newsletters and email lists. Luke Shimp, David Burley and Jim Hofer of the Blue Plate Restaurant Co.
Matt Crellin gave and update on PCF and presented two design options. PCF is closing on the funeral home site at Nicollet and 37th today. The process of demolition will begin soon. PCF will be working with Resource Recycling to salvage what they can from the building (floor joyce, light fixture, stained glass, door hardware etc). This process will take a few months. PCF has been working on building design concepts and presented the two options chosen by their design committee. Dolata attend their most recent meeting as a KFNA representative and offered design feedback. The redevelopment committee reviewed the two designs. Crellin noted that the colors and materials are subject to change. The project includes 7,000 sq. ft. of commercial space and 5,000 sq. ft. of project offices on the first floor. There will be 42 single room occupancy efficiency units for the homeless youth that enter their program. The project will have a large work readiness component that will include on site social workers and employment specialists. PCF has already sent out RFPs to five different service providers that serve homeless teens. PCF was encouraged to recruit teenagers to be on the design committee. The parking scenario has not changed from the last presentation to the redev. committee. Both designs include 18 parking spots in the back of the building, accessed via the alley on 37th Street. The required parking for the residential piece of the building will be met. PCF will be seeking a variance for their retail parking requirement. Hinds suggested including a place for bike racks and a place for public art – to encourage pedestrian traffic and welcome the community. Bike storage for residents was also encouraged. There will be no public retail access from the back. PCF most likely will not relocate their offices to this space. The site will host 42 residents, six staff including a 24-hr front desk person. The program will service homeless youth that include teens aging out of foster care. The redevelopment committee still has not secured a dated to visit other similar programs. Parent will send out an email of Wednesday dates that work for PFC for the committee to respond to. PCF would like to hold their first community outreach meeting about the youth housing development. The meeting will be held on Wednesday, November 7th at 7pm at MLK Park. Meeting hosting duties will be discussed later. The City is proposing a lighting fee of $13.50 a month per property owner to generate 6.5 million a year for street lighting upgrades and maintenance. Property owners who are already paying a lighting assessment will be charged the new fee after their current assessment is paid off. Two open community meetings have happened and more are scheduled through October. Hinds attended the second meeting and there were 80 residents in attendance. The redevelopment committee discussed the pros and cons of the lighting proposal. The City leadership approach is thought to be more efficient than the current petition system to install/upgrade lighting and in the new proposal each neighborhood gets to choose their lights. The City’s lighting system is getting old and needs to be updated, replaced and maintained and the City needs to secure funding for this. Although an extensive street lighting research project has been conducted the committee feels that the City could do more research on LED lighting options and other ways to extend the life of lights beyond the proposed 20-30 years. There is caution in supporting the implementation of a City fee to pay for the lighting, especially when neighborhood funding is in jeopardy. Parent will update the KFNA board on the City’s lighting proposal and provide them with information about the proposal. La Chaya is applying for a strong beer and wine license. Their hearing is Monday, October 1. The committee discussed the hearing. Hinds made a motion to support La Chaya’s strong beer and wine license and advertise the hearing through KFNA email. Michael Lander and Ben Kerl from Lander Group and Luke Shimp, David Burley and Jim Hofer of the Blue Plate Restaurant Company presented their plans to develop the corner building at 3800 Nicollet Ave.
Blue Plate and Lander are joining together to development 3800 Nicollet. Blue Plate would like to open a full service restaurant with a large patio (along 38th street). Blue Plate has successfully opened and manages four other restaurants (Longfellow Grill, Edina Grill, Highland Grill, and Groveland Tap). Blue Plate is seeking a full liquor license to open a fifth restaurant at 38th and Nicollet that is consistent with their business model. This fifth site would be modeled after the Longfellow Grill (a modern take on an urban diner). Lander and Blue Plate feel that the 38th and Nicollet area is underserved and would benefit from this type of restaurant. The restaurant would close at 12am. Blue Plate has not experienced any complaints about their neighborhood restaurants. They have experienced great support from local residents who utilize their restaurants like a community gathering space. Blue Pate conducted a “mindful parking” campaign when they opened Longfellow grill that help ease resident concern over neighborhood parking issues. From their experience, Blue Plate feels that the parking inventory will work out at the 38th and Nicollet site. They will be requesting a variance, since they will not meet the off-street parking requirements. Lander Group will move their offices into the building and they will lease office studios. The newer building, attached will also be leased out (but not fully developed at this point). Lander hopes to proceed with opening the store fronts this fall if they can gain support from KFNA by November 15th. Once Blue Pate receives their liquor license they can build out and open the restaurant in 120 days. When asked if Blue Plate would consider applying for a strong wine and beer license they declined to answer. They stated that at this point they do not want to compromise their business model. Blue Plate is seeking KFNA support for a full liquor license so that they can get CM Glidden’s recommendation to State Legislature. They hope the State Legislature approves their request in April 08. Once their license is approved by the State Legislature they can proceed with the Minneapolis liquor licensing process. Blue Plate and Lander would like KFNA support to be identified within 45-60 days so that they have the confidence to proceed with the development. 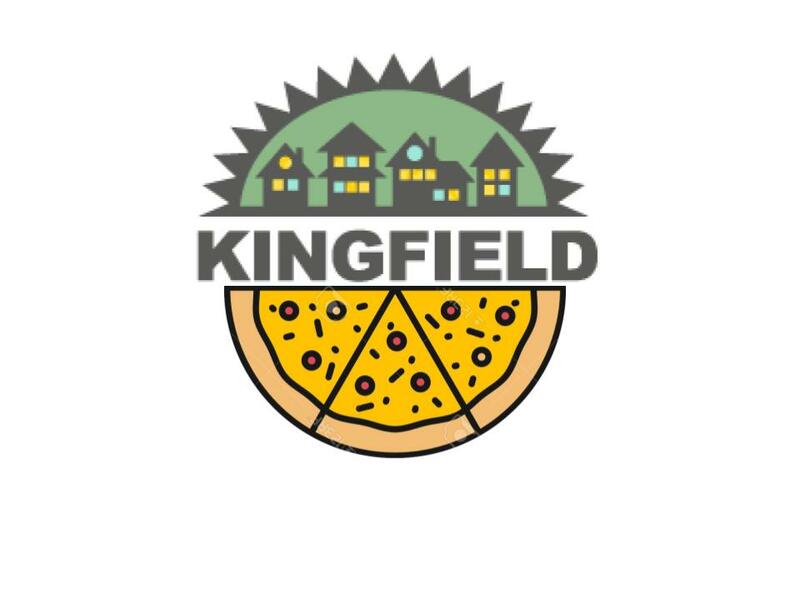 It was decided that the Kingfield community needs an opportunity to hear about the development and respond to the full liquor license request. Dolata made a motion for Lander and Blue Plate to host an unofficial “public hearing” on Wednesday, October 24th from 6-7pm at MLK Park to gather community input. This meeting will be hosted and run by Lander and Blue Plate. Motion passed unopposed. Kress offered to get a representative from liquor licensing to attend as well. The KFNA board has decided to develop a policy regarding neighborhood support for /or against full liquor license. Dolata suggested that this policy have an owner occupied stipulation. Hallstrom submitted an update on the current BFIP applications and the status of each project. KFNA has 17,628.36 remaining in the BFIP program. Fun Sisters requested an amendment to their BFIP application to include the replacement of the “daylight” windows that were formerly covered up. This was an amendment that the committee encouraged. Fun Sisters has estimated that the addition to their project will cost $5,000. Parent made a motion to approve the amendment and contribute up to $2,500.00 toward the replacement of the upper windows at Fun Sisters. Motion passed unopposed.